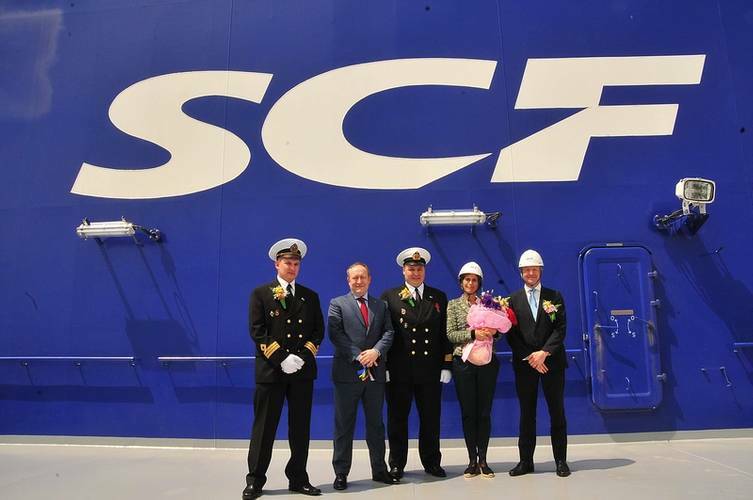 A naming ceremony was held on April 9, 2015 in South Korea for SCF Mitre, the fourth vessel in a series of state-of-the-art Atlanticmax-type LNG carriers built for Sovcomflot (SCF Group). The vessel, as with her sistership SCF Melampus that joined SCF Group’s fleet in January 2015, will be operated under a long-term time charter to Royal Dutch Shell. 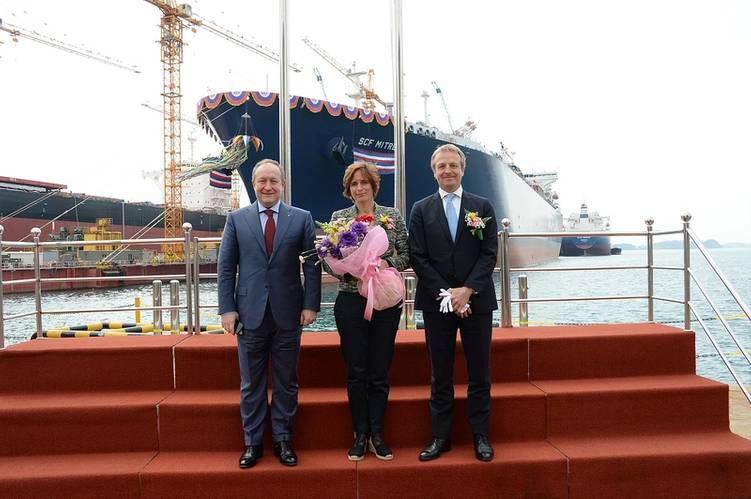 A series of Atlanticmax-type LNG carriers have been constructed under a joint project developed by Sovcomflot and STX Offshore & Shipbuilding. The first two tankers of the series, Velikiy Novgorod and Pskov, have already been put into service on long-term contracts with Gazprom, with the design of SCF Melampus and SCF Mitre a continuation of this project. These ships have been constructed to adhere to all requirements of their charterer regarding environmental safety and energy efficiency. These Atlanticmax LNG carriers have a cargo capacity of 170,200 cubic meters and are equipped with triple-fuel diesel electric power generation systems. The ships are built to ice class ‘Ice2’ and are designed to operate at low temperatures and in harsh climatic conditions. LNG carriers of this type are able to transport gas from the majority of the World’s existing LNG export terminals. 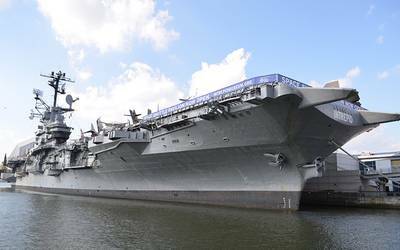 SCF Mitre is expected to enter service by the end of April 2015. The names of the vessels of this series reflect the partnership between Sovcomflot and Royal Dutch Shell. The abbreviation SCF is combined with the Latin names of shellfish that have beautiful clam-shells – Melampus and Mitre.